March 2011 Update: Players are advised not to play at mSlots until further notice. 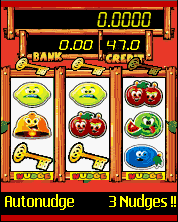 mSlots is a brand new mobile casino specialising in exciting mobile slots games. Developed in the UK, mSlots is a mobile casino for seasoned punters who really know their casino games. The UK’s biggest online scratch card website Hopa have converted 10 of their best games to mobiles including iPhone & Android. Play Hopa Mobile now and get £5 free! William Hill are giving a £30 no-deposit bonus to all new players on its mobile casino . This is the biggest mobile casino bonus currently out there! William Hill have converted some of their best casino games for your mobile phones. Sign up with William Hill Mobile and get a free £30 bonus! Nedplay, a very popular online casino, have joined the mobile casino bandwagon by launching a mobile version of their casino. Looking for a quality mobile casino with tons of games and great offers? Then you’ve landed at the right place with the Wild Jack Mobile Casino! 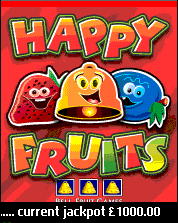 There is £10 up for grabs this weekend for any one who plays the fantastic Happy Fruits mobile fruit machine game!